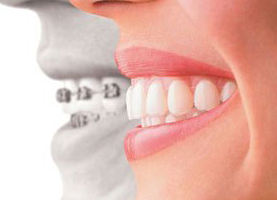 In some ways your regular examination is the most important kind of dental appointment you’ll ever attend. 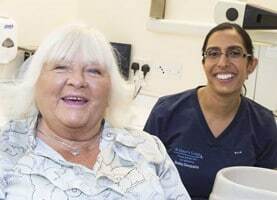 Usually we ask you to come and see us every six months for a check-up, though some patients with exceptionally good oral health may only need to make an appointment once a year. 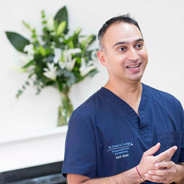 Regular visits are important because they give us the opportunity to check every aspect of your oral health – an important part of our philosophy of treating the whole of the patient, not just their teeth. Dental examinations aren’t just about looking for signs of tooth decay! 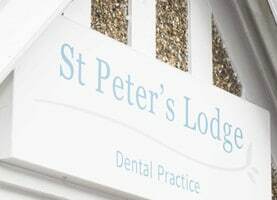 At St Peter’s Lodge an examination starts with your tongue, palate and other soft tissues. The mouth is well supplied with soft tissue areas and this makes it an ideal “window” into your general health. We want to see healthy pink tissues, of course, but are especially vigilant in recognising any early signs of more serious problems such as ulcerated and “unusual” patches. Mouth cancers, sadly, are on the increase and early detection is one of the most important factors if treatment is to be successful. During your examination we can investigate any dental problems you may have, discuss any cosmetic treatments you might be interested in – such as teeth whitening or veneers – and take routine x-rays. This is important to check the health of areas not visible to the naked eye. Normally we take x-rays about once every 12-24 months. We still won’t take up too much of your time… but if you’ve ever experienced the kind of ‘check-up’ that leaves you feeling as though you’re in and out of the chair before you know it, you’re certain to appreciate our more thorough approach – and its ability to consistently prevent bigger problems in the long term. Your regular appointment is ideally complemented by a visit to our hygienist- something which most patients will benefit from considerably. To find out more and book an appointment please call us on 01727 853160 or complete our online booking form.